We increasingly live in two worlds — the virtual one of our tablets and our HoloLenses, and the real one of paper books, soccer balls, and winding trails through spring blossoms. We have gotten better flitting between these two worlds as well — poring over our laptops during the conference session and then lifting our heads up to look at the speaker up on the podium, looking on the road outside of our front windshield and then glancing at the screen telling us of the Mars landing a few million miles away. Sometime though we beguile ourselves about how good we are in this flitting and we pay, sometimes in embarrassment and sometimes in more painful ways. The old trope of the genius, self-absorbed professor running into the lamppost has been modernized into the genius, tech-absorbed professor doing the same thing. In this article, I take a look at how our flitting habits are evolving, what we can reasonably be expected to do well in, and where a cautionary flag needs to be held before us. In the yester years, say I am talking of till the early 2000’s, the dividing line between the virtual world and the real world was quite easy to discern. We went into the virtual world through our PCs, spent our time wandering that world on our Aladdin-esque magic carpet and the virtual world seemed many miles away from the world that existed outside of the PC monitor. This was the far-off world coming to us through the lenses of a BBC camera man, there was the world of the large mansion in Bel Air being profiled by a Discovery Magazine journalist, and there was the world of the athlete doing unbelievable feats climbing the El Capitan which we gazed at in wonder while we lolled languidly on our Lazboy. When we would come back to the real world, as in the physical world, maybe because the door bell rung, or our kid wanted to play with us, the transition would be sharp, not seamless, with no ambiguity in our minds about which world we are currently in. The door bell would bring forth a friendly neighbor and the kid would have a physical soccer ball to play with. This may seem like a lot of fond reminiscing for a time gone by … and it is. But there were many undesirable warts in that world too. We could not connect as easily with people and worlds far away from us. To walk a mile in someone else’s shoes helps in understanding that someone else’s point of view. That was harder to do. Life’s experiences had to be had the hard way — going there in person and experiencing it in person. Bank balances were more of a rude intruder in getting such experiences. Also it was harder to share those experiences with close friends, far-off friends, and well, just about anybody. On the less flippant side, physically delivering life-saving medicinal drugs to far-flung remote areas through drones and the like was not even in the realm of possibility. Firing the imagination of the child growing up in a resource-starved region through virtual worlds of creativity was not a winning business proposition and so few people were doing that. So that was the world from, say the beginning of the electronic computer to the early 2000’s, where we lived in two distinct worlds. The devices through which we could enter into the virtual world were increasing as was the time that we were spending in the virtual world, but different they were. With the popularization of smart phones and multimedia applications on them, along with the sharp increase in Wi-Fi and cellular connectivity, we started to become voracious consumers of media. So from the mid 2000’s, the virtual world unobtrusively slipped into our physical world through iTunes, Pandora, and their ilk. We would be standing in the hot crowded subway in DC humming away to our favorite music star and getting strange looks if our humming got too loud. But slowly the strange looks went away because others knew that we were enjoying the pleasures of the virtual world. And then came video, to wrap us more completely in the virtual world. It demanded more attention from us, even as it gave us more of its alluring gems through unending streams of captivating stories of science and nature, lessons on math and science far more engrossing than your college professor’s, and empathetic stories of people in lands far off from us and often far less fortunate than us. And yes of course, there were the dark sides of the video world and the silly sides and the time-sink sides. The arcade games have given way to virtual reality games that blur the distinction between the physical and the virtual worlds. And are oh so fun to play, but none more so than this favorite of mine from childhood days. The next big jump came, again not in a discontinuous spurt, but through a gradual series of consumer uptakes. This was the world of virtual reality games. Aficionados donned bulky goggles and moved about their physical spaces, swatting at imaginary (to us) and oh so real (to them) creatures. 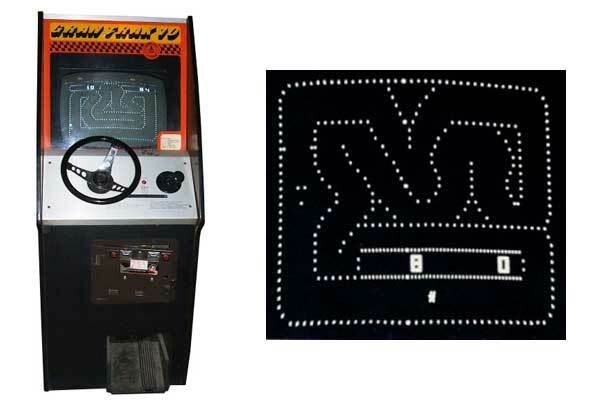 This significantly upped the ante on the thrill of my favorite childhood arcade game, car race driving, and made many more games much much more engrossing. With the miniaturization of the virtual reality devices, they have become less nerdy; with the slow dawning of low latency, high bandwidth internet connectivity, the experience has become smoother; with the wider adoption of the technology and even melding into some smartphone apps, such games have become more accessible. Technology is increasingly giving us smart wireless connected devices that through cyber means make our physical spaces more comfortable, productive, safer, or just cooler. Hence, the smart thermostats that can be controlled remotely, thus saving me from the climb down 10 flights of stairs as I am writing this post. Hence, the smart solar arrays on rooftops that can orient themselves just right to capture as much of the solar energy as is possible. Hence, the plain old public transport system that gives the elderly (and all others) notice of where the bus is so that she can walk at the right time to catch the bus. Hence, the drones that are delivering life-saving blood and medicines to villages in Africa that it would take far too long to reach by road from the nearest city. Like most technology, this is dual use too. Cyber attacks have increased in scope and virulence and there needs to be more attention paid to securing these kinds of cyber physical systems. Otherwise, just when we really needed the virtual and the real worlds to play well together, they will not. But overall the arc is bending in the right direction. The cautionary tales arise when we think we are supermen free from the millenia of evolution that guides our ability to switch from one matter to another. This shows up when we think that our mind can absorb information and act on them in near machine time, all the while we are context switching from one task to another. That may be switching from one virtual task to the next, or from the physical world to the virtual one. Most immediately this shows up in matters that need our attention and quick response in the physical world, such as, driving a car, or operating heavy machinery. These environments are also full of sensors, which are meant to aid us humans, but sometime end up distracting us from the immediate task at hand. Plus, we bring into these environments, extraneous distractions from the cyber world, smartphones being the most prominent example. Let us say (quite optimistically) that it takes one second for us to do a context switch and then react to the surprising event while driving, such as a pedestrian coming in our field of view [APA article]. If we were driving at 40 mph, this will mean it will be 60 ft before we can switch out of the PBS news story we were watching to press the brake. Then it takes about 75 ft for the car to come to a stop. In the 135 ft, there can be serious damage done. We will inhabit a world that will increasingly be filled with wireless sensors (the things that “sense” the physical environment around them) and actuators (the things that “act” such as open the door). These will give us the power to move seamlessly between the physical world and the virtual world. Much of it is going to be for our good — increasing our health and well-being, improving the physical spaces we live and work in, and allowing us to connect with far reaches of humanity. But along with great power comes great responsibility. Here the responsibility is for us to be humble and to understand our innate limits of context switching between the two worlds. Posted in Computer Science-y, Technically Speaking. Tagged augmented reality, cyber-physical, virtual.